Since doing a full gut job in the basement, there have been workers here every day. That was over a month ago and even though you cannot see much progress from these photos, there has been so much done. From electric, plumbing, dry wall, etc. I really had no idea how much work this was going to take. The good news is that a lot of the fun stuff is coming. 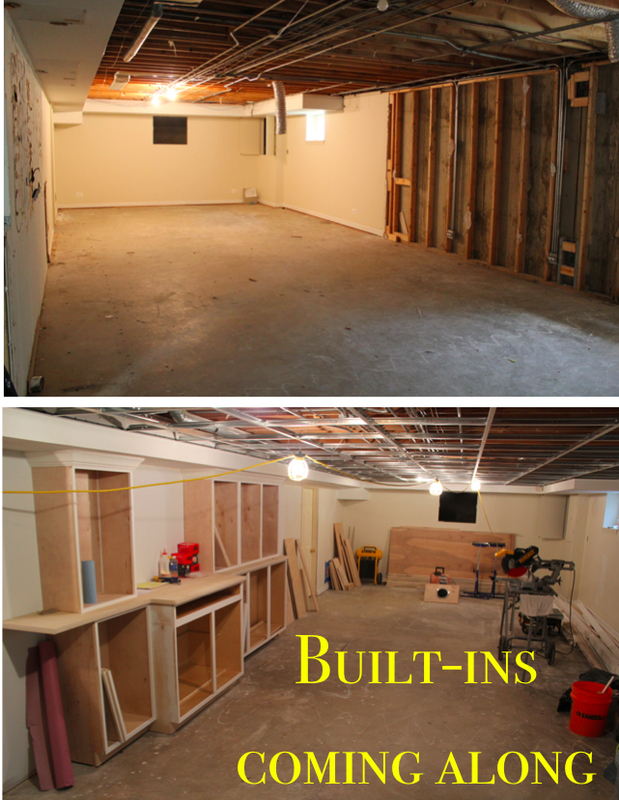 In the mean time I can share some photos so you can see where we began and where we are now. We decided on lots of built in storage to get ahead of the toy situation that is in our future. Plus, a nice spot for the tv. This room will be a nice family room and play space. 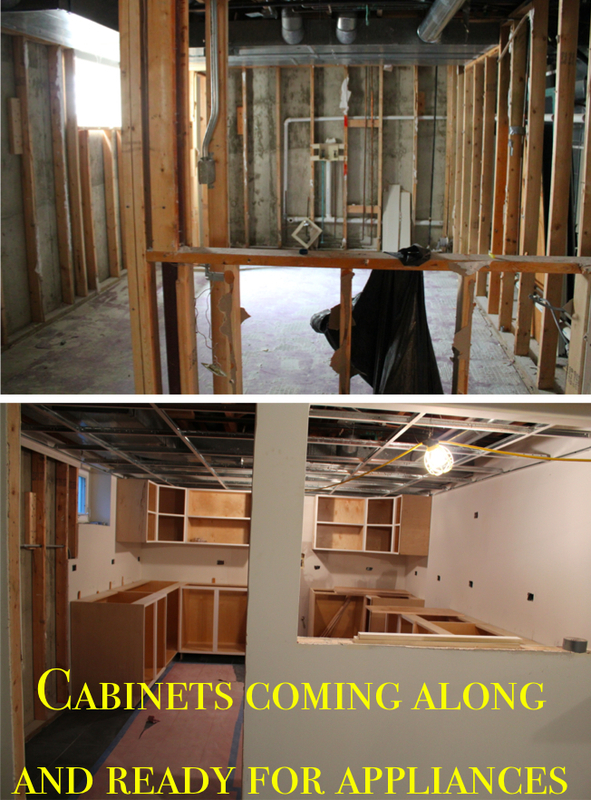 We will have a half kitchen with another washer and dryer in this space. There will also be a bar in the cut out. We also decided to do a ton of storage in this space, you can never have enough. This bathroom is hard because it is dark and only has one window in the shower. White cabinets, white subway tile and dark floors should keep it light and bright. 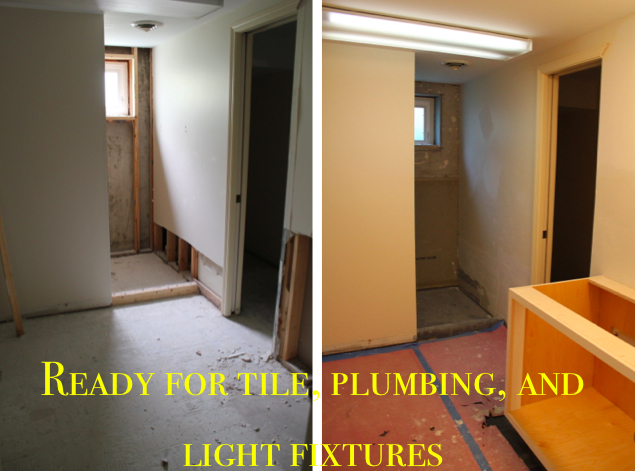 If you have ever done a full renovation like this, you know it seems never ending. But I am hoping that in the next month I can post some much more fun pictures of how this space is coming together. I also do not want to move onto other rooms of the house until this is done. Oh and let's not forget that we added a walk out door in the middle of this project just to keep things interesting. It is very nice to have an entrance to the backyard. It makes this space also much more like an in-law suite. Perfect for grandmas and grandpas. Any advice from those that have gone through projects like this is much appreciated!